I had to stop and organize. 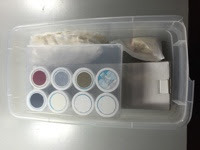 in a pack and they are great for storing supplies. containers so I could easily identify the colours. Then I used a labeler to label the colour on the side. to go to a crop I really couldn't take them all. Now I can take them all. 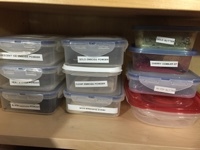 How do you organize your embossing powders?